In this contributed opinion piece, Australian Livestock Exporters’ Council CEO Mark Harvey-Sutton reflects on changes in the livestock export industry in the 12 months since footage showing sheep enduring inexecusable conditions on the Awassi Express shocked Australia. THIS week marks 12 months since the release of shocking images of Australian sheep on livestock export vessel, the Awassi Express. The conditions shown in the footage was inexcusable and, without doubt, it has set Australia’s livestock export industry back. ALEC CEO Mark Harvey Sutton. But the Australian Livestock Exporters’ Council’s agenda for ongoing improvement in our supply chains hasn’t slowed. In fact, our determination has been hastened. 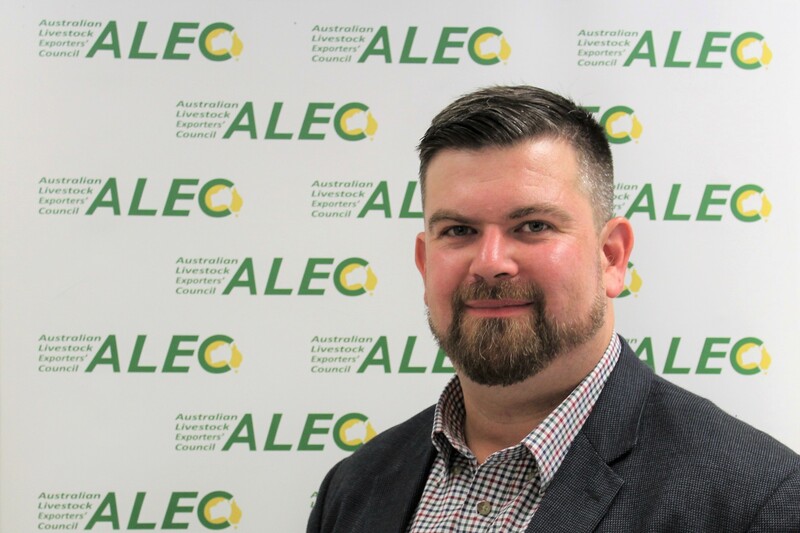 I was only been appointed ALEC CEO in January, but in my previous roles working for the Sheepmeat Council of Australia, the Cattle Council of Australia and the National Farmers’ Federation, I have seen first-hand livestock exporters make significant progress over many years. Last year, a mandatory code of conduct for ALEC members was introduced, with tough sanctioning for any breach of the code. It complements ALEC’s comprehensive industry reset project which is redefining the way exporters engage with the community in the future. ALEC has also established an independent Ethics Committee and led industry calls for an Independent Inspector of Animal Exports, something the Federal Government has now embraced. Specifically, in response to the Awassi Express incident, ALEC members have also signed up to our three-month moratorium on sheep shipments to the Middle East during the northern hemisphere summer. This pause has now been accepted and enforced at a regulatory level. The moratorium reflects ALEC’s willingness to acknowledge welfare risks and respond collectively, in the same way our members will again voluntarily pause the export of slaughter sheep and goats to Malaysia in the lead-up to Korban in August this year, after the same pause in trade was observed before last year’s festival. Since May 2018, live sheep shipments have operated under new stocking density requirements which have been overseen by independent observers on board, whose reports are confirming animals are being transported in a way which upholds their wellbeing. Exporters have sought to see these reports much more quickly then they currently are, so that any issues that may be identified can be remedied as a priority. As an industry we continue to invest significant exporter and producer funds into science-based solutions, including the development of animal welfare indicators that represent a shift away from mortality as a sole measure of a voyage’s success. The development of animal welfare indicators, including technology to collect these indicators, is now being trialed after extensive literature review and research. Updated frameworks for transport, including heat stress risk assessment, has in recent months shown how well industry can collaborate in policy alignment and science-based submissions which demonstrate that good science, animal welfare and a viable trade aren’t mutually exclusive. It has been a moving feast of reviews, with ASEL, McCarthy, Moss and the Heat Stress Risk Assessment and, be under no illusions, the peak industry groups in Canberra have, together, completed a tremendous body of work to articulate the case for sustainable reform. 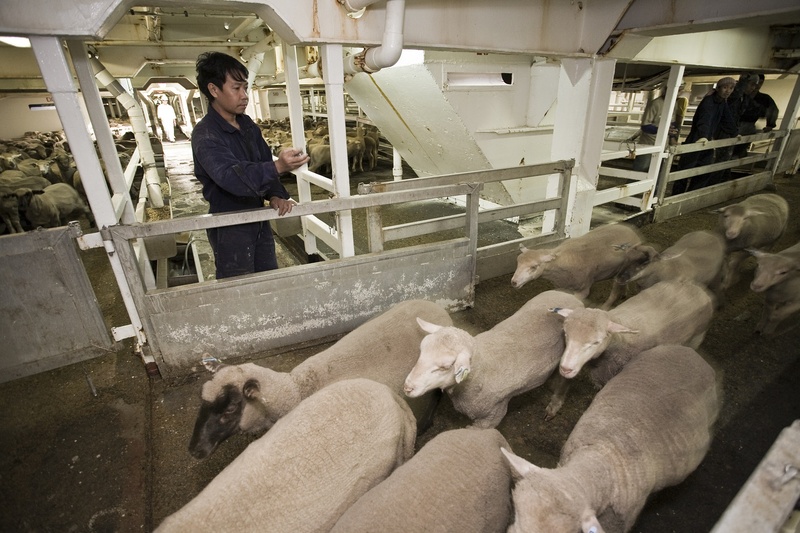 Control and traceability are crucial to livestock export – from the farmgate to the abattoir – and that’s why exporters and producers have invested in the development of the world-leading Livestock Global Assurance Program, to see international standards for live animal export supply chains. The importance of pushing on with the roll-out of LGAP is more apparent than ever. As ALEC’s independent chairman Hon Simon Crean told last month’s WA Farmers’ conference in Perth, he acknowledged the imperatives of the livestock export industry when he was first exposed to the live sheep trade in the early 1980s. Even as a union leader, it was clear to him then that there was a specific demand for live sheep and that opening export markets via the live trade could lead to export opportunities for chilled and frozen sheepmeat, complementing live export as demand grew. We’ve seen that potential realised in subsequent decades. Indeed, we’re meeting the demand from a large number of Middle East customers who require meat from freshly, locally killed sheep, while improving animal welfare and capitalising on the opportunities for frozen and chilled sheepmeat. That’s why we won’t be distracted from working with our partners in the production sector to ensure the Middle East sheep trade remains open. Working together, producers and exporters can advance change and present a compelling case to government and the community about the future of the industry. WA locals like Dr Holly Ludeman and producer Bindi Murray who are the faces and driving forces behind The Sheep Collective are making a real difference. Their stories are persuasive because they are based on the facts. Over the next 20 to 30 years, the challenge for Australia’s livestock and red meat industry as a whole is to continue to grow while demonstrating that it is a sustainable and important industry sector within the Australian economy, sustaining 440,000 jobs and turning over $65 billion every year. The livestock export industry is determined to be a part of that evolution by strengthening demand for livestock, increasing market diversity and complementing domestic chilled and frozen Australian meat around the globe. We make no apologies for continuing to defend the imperatives of the trade and to reaffirm the genuine care we – exporters, producers and importers – have for the animals in our supply chains. We will not waver in our commitment to Australia’s ongoing leadership role in a sustainable, ethical global livestock export industry.